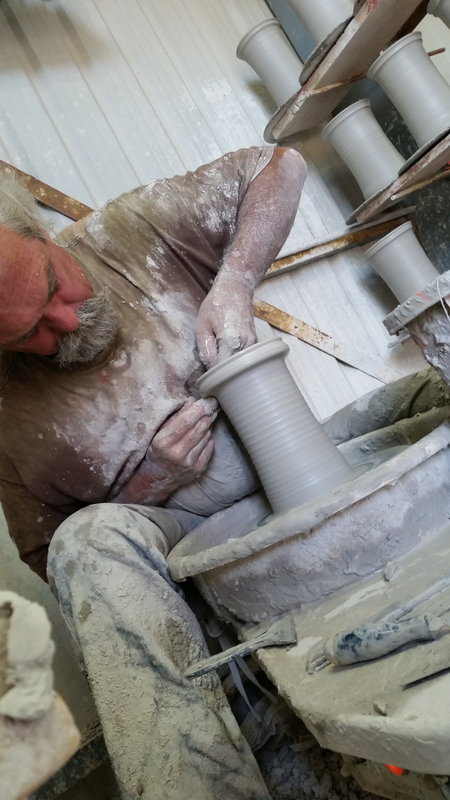 Your source for high quality wheel thrown stoneware, handmade in the USA. Our amazing culinary pots are all extremely durable and are oven, microwave and dishwasher safe. Each pot is available in a variety of colors and patterns and comes in a gift box with instructions. The Gourmet Potter is the evolution of 40 years of producing functional hand made stoneware pottery. Each piece is hand thrown on the potter’s wheel and hand painted by Patrick Tutt in his mountain studio in Avery, California. Our line consists of items which are used for preparing and serving food and are ideal for entertaining with family and friends. The garlic grater, bacon cooker, omelette maker and dip chiller/warmer are our most popular gift items, essential to every cook's kitchen. All of our pieces are oven, microwave and dishwasher safe and are meant to provide years of lasting enjoyment. You can find our wonderful products at the finest art shows across the country but our website offers you the opportunity to purchase from us directly any time of the year! Stay Up To Date On All Things Gourmet Potter!